When most people think “salads” nowadays, they think about those pre-packaged, pre-washed and ready-to-eat bagged mixes of lettuce that might also include some half-dehydrated shredded carrots and a little purple cabbage. Yes, it's convenient. As convenient as the bottled, genetically-modified, polyunsaturated fatty acid and preservative-laden concoctions sold as salad dressings to go with it, but does thinking about it make your mouth water? Do you look forward to your next pre-mixed salad? Yeah, I didn't think so. Enter the new book, Simply Salads by Season, by my friend, Kristen Michaelis, a.k.a., “Food Renegade”. This is the stuff of foodie daydreams, especially if you're a salad freak like I am. 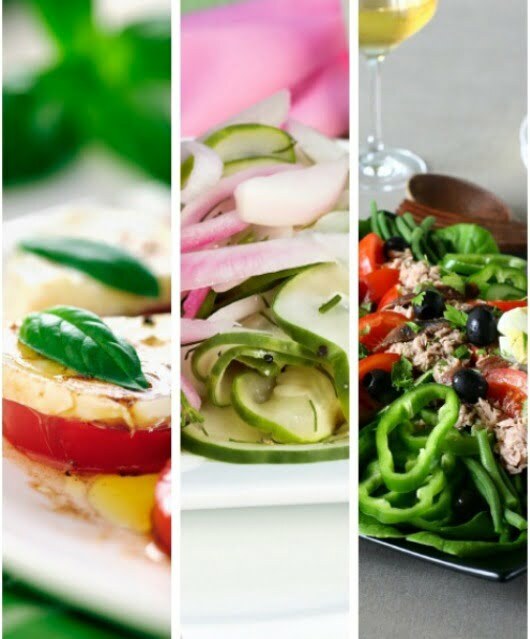 Simply Salads is arranged by season, which successfully demonstrates that salads aren't just a summer food! 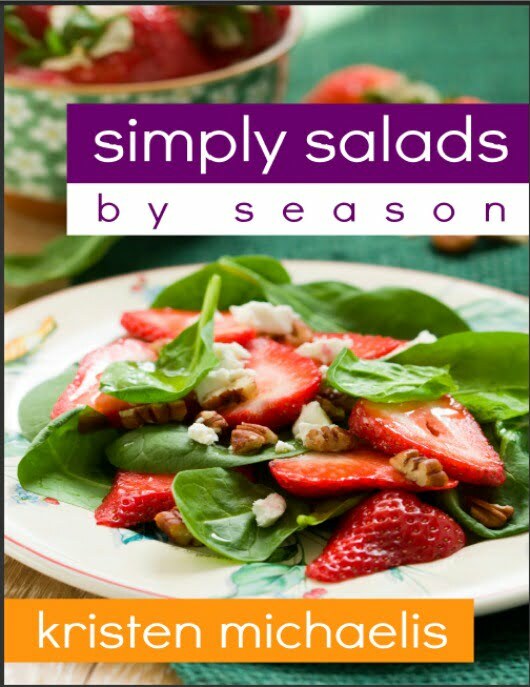 Each season's section is full of recipes for fruit salads, side salads, and heartier main dish salads that highlight different offerings according to growing season, so we can obtain local ingredients that change in availability throughout the year. 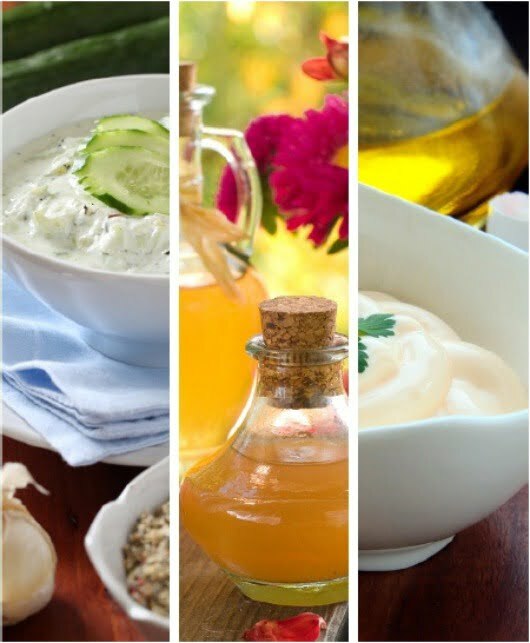 But first comes the extensive chapter on Dressings and Condiments. No stone is left unturned, starting with the basic dressing building blocks of homemade mayonnaise (here's my own homemade mayo recipe), honey mustard, ketchup, and even Worcestershire, and of course the standbys like ranch, thousand island, blue cheese, and basic vinaigrette. But then (my mouth is watering as I type this), she busts the doors down on the common and expected with vinaigrettes like raspberry chipotle, dill, smoked paprika, and oriental, creamy dressings and condiments like tzatziki sauce, coconut almond, creamy lemon, and honey cilantro lime yogurt dressing, and other additions such as relish, salsa, chutney, and sauerkraut, which is not the only lacto-fermented option either! Ah, spring! 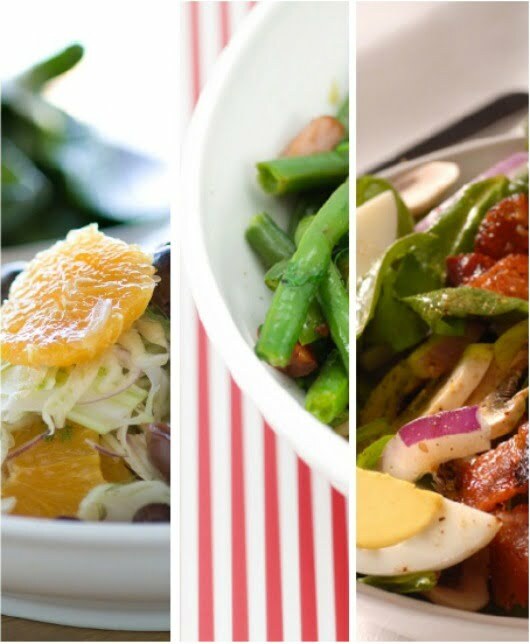 The classic salad season, full of tender, new spring greens and fresh garden or farmer's market offerings. 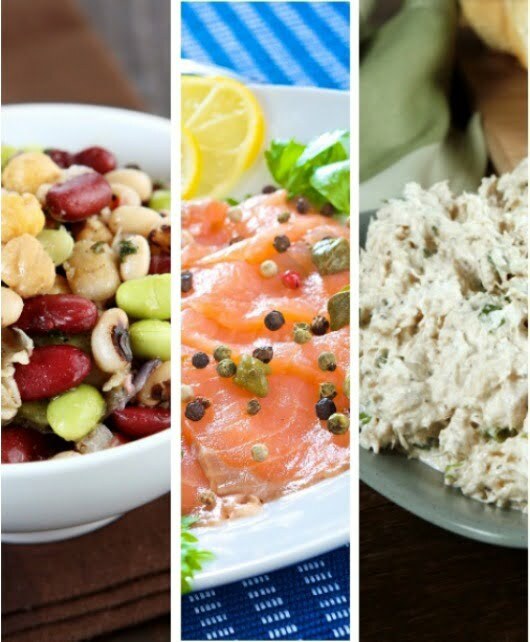 In this chapter you can find recipes for salads with fruits such as Mango Cherry with Raisins and Strawberry Broccoli, savory salads like Mushroom Gruyere and Southwestern Nopale (cactus), and main dish salads like Smoked Salmon salad with spring veggies and creamy lemon dressing. Not a boring salad to be found! 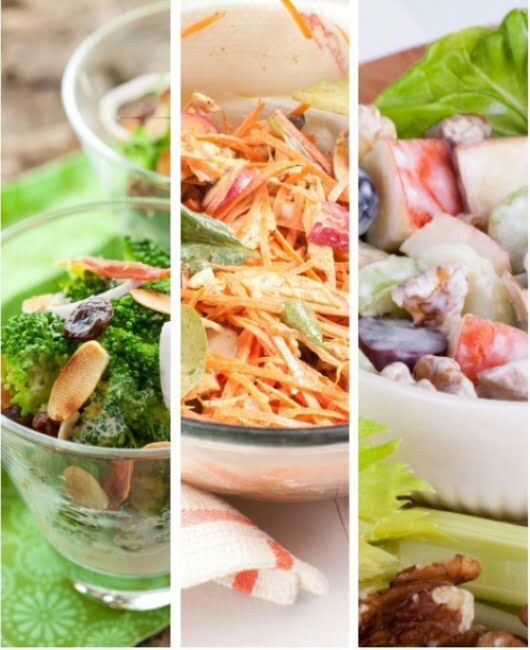 As the weather cools, salads begin to shift as well, and we can begin using watery, juicy veggies and fruits like apples, pears, walnuts, carrots, and cruciferous vegetables. The familiar Waldorf stands alongside the surprising Kohlrabi Slaw with Dried Cranberries, while Apple Cauliflower chopped salad with blue cheese dressing combines sweet and savory, my favorite. Spicy Shrimp and Avocado salad satisfies a Tex-Mex craving, while Broccoli and Ginger salad has an Asian flare. Who says salads don't work well in cold weather? They must not have known about this Roquefort Pear salad or dates and goat cheese served over a bed of greens and drizzled with raspberry vinaigrette. Wow, that one sounds good. Another interesting one I can't wait to try is this twist on the classic American potato salad: Sweet Potato salad served with a curry yogurt dressing. The sweeter Clementines with Whipped Cream would be a perfect part of a holiday meal. Just when I was feeling a little sad that the recipe feast was over, the final chapter, All Year Salads, came through with egg salads, chicken salads, seafood salads featuring crab, tuna, and salmon, and beans salads too. Like an encore, it completed my ‘happy place' with a little extra to “chew on”. Simply Salads by Season is the type of cookbook that, if it were in hard copy form, would end up with its pages dog-eared and crinkled from splatters, as all really used cookbooks in my house end up. It is everything from practical and basic to innovative and exotic. You'll love it! 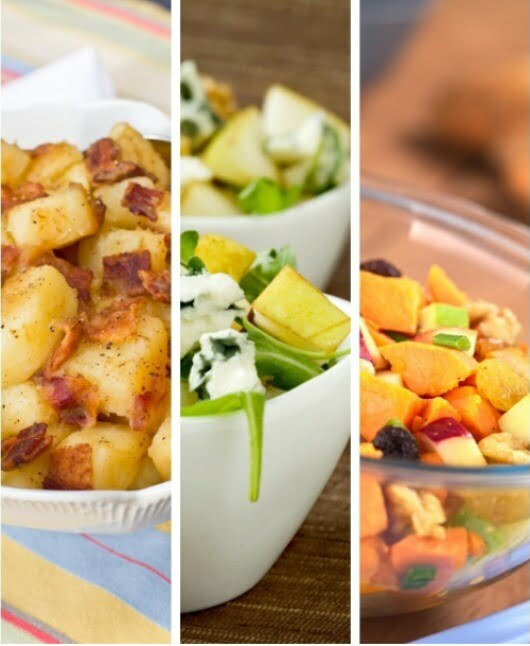 Simply Salads by Season – click here to order now! This looks awesome! I need some new salad inspiration! Yummy! I love salads. My favorite is to just toss some olive oil and balsamic vinegar on whatever I concoct!